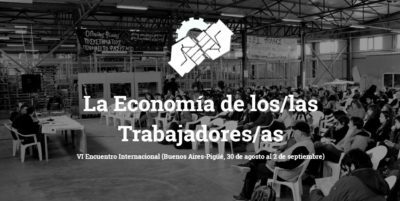 In this article we discuss the (non-) implementation of the Colombian peace accords, based on a conference given by Victoria Sandino, a leading FARC figure.1 We also examine an initiative, Ecomun, to build peace through the construction of alternative economies in the Colombian countryside. The peace agreement reached in 2016 between the Colombian government and the Revolutionary Armed Forces of Colombia – People’s Army (FARC-EP, now renamed the Revolutionary Alternative Force of the Common, keeping the acronym) offered an opportunity to turn the page on decades of conflict. It was also a recognition, by the Colombian government that the armed resistance was not a matter of “terrorism,” but rather rooted in the structural inequality of Colombia, and the countryside in particular. This political violence is a result of the unchecked activity of paramilitary groups, who continue to act as shock troops for Colombian economic interests, old and new, clearing the way for new investments and protecting the established ones. Organisations mobilising for labour, indigenous, Afro-Colombian, peasant, environmental rights are constantly attacked with impunity by paramilitaries. These now operate more through targeted killings, as opposed to armies that occupied territories, and frequently under the name “Aguilas Negras” (“Black Eagles”). Beyond the constant human rights violations, under the complicity or direct responsibility of Colombian authorities, despite the guerrillas fulfilling their end of the bargain and putting aside their weapons, other aspects of the peace accords are also ignored. One of them concerns the political participation of the FARC. Their presidential candidate, Rodrigo Londoño “Timochenko”, had to call off his presidential campaign because a far-right mob, armed and deadly, kept popping up at every campaign event. 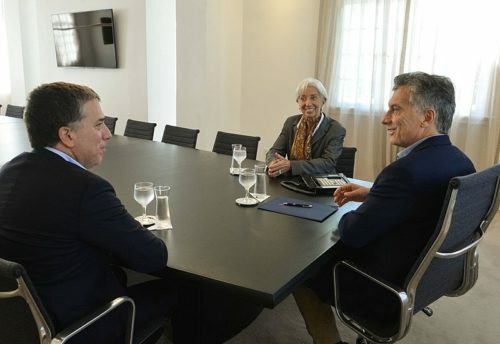 In addition, the Havana agreements contemplated economic measures which, for the very first time, showed a willingness from the Colombian government to address some of the issues that underlined the decades-long armed conflict. Chief among these was land reform. Colombia has historically had one of the most unequal land distributions in the continent, with the largest one percent of landholdings concentrating 81 percent of the land. This issue was then compounded by a population of over 7 million internally displaced Colombians, mostly from rural areas, resulting in a peasant population that is by and large landless and finds it very hard to subsist. 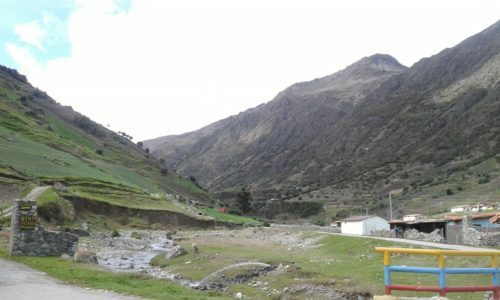 Needless to say, the Colombian government has not moved an inch in this economic reincorporation of ex-guerrillas and rural communities in general (more on this below). “The government has not done anything. 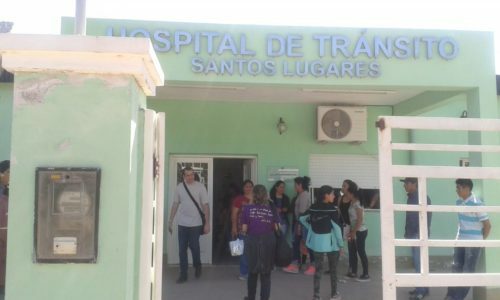 The cooperatives and productive projects in the reincorporation zones,3 many of them run by women, have been left to fend on their own,” added Sandino. One of the most blatant violations from the Colombian government is the case of Jesus Santrich, a high-level FARC commander and key negotiator in the peace process. 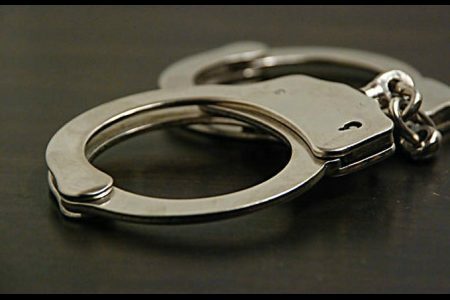 Santrich was arrested in April. He staged a hunger strike for 41 days to protest against his detention, and the time and prison has taken a toll, Sandino explained. Santrich is blind, and no effort is made to take him outside nor to provide him with a tablet that would allow him to read or write. Santrich was arrested on instructions from the US Drug Enforcement Agency (DEA), accused of conspiring to send 10 tons of cocaine to the United States, and with attempts to extradite him being fought in court. This has been denounced both in Colombia and abroad as a clear violation of the peace accords, with no evidence being produced to place his charges outside the jurisdiction of the Special Jurisdiction for Peace (JEP) tribunal set up as part of the agreements. Given the grim picture painted above, some ex-guerrillas have left the reincorporation zones to look for safety and means of subsistence elsewhere. They can hardly be blamed. But others remain hopeful and defiant. While it has become very hard for them to present their model for an alternative society in the political arena, they hope to show it on the economic front. Ecomun (Economías Cooperativas del Común) is a cooperative looking to make strides in this aspect. With plenty of experience accumulated during the armed conflict and different expertises, they hope to act as a kind of umbrella cooperative that will undertake some projects as well as provide support to others, alongside efforts to document all these experiments. Given their insertion in the Colombian countryside, agricultural production is one of the main avenues being pursued. Ecomun stresses that crop substitution is the goal, but that forced eradication criminalization of coca producers is not the way to go about it. Several of their projects are aimed at building a solidarity economy through productive projects that can provide a livelihood for ex-combatants and peasants in zones that were marred by conflict. These span a variety of areas, from farming to fishery, as well as agritourism and culture. However, several ingredients are needed to get these projects off the ground, and this is another area in which the Colombian government has not held its end of the bargain. The program to redistribute land to landless peasants is yet to start, and the new government is even less inclined to do so. Additionally, peasants and ex-insurgents have virtually no access to credit, with loans having demands they cannot fulfill, nor to any legal support in the process of creating cooperatives. Where the government has not delivered, Ecomun is hoping that solidarity will step up and fill the void. They have launched a fundraising campaign with multiple goals. The idea is to create a Solidarity Revolving Fund (SRF) so that fledgling cooperatives can have access to affordable loans to jump through some of the initial hurdles, among them access to land. The ex-guerrillas are not naive in thinking that cooperatives can just flourish amid a capitalist environment such as the one in Colombia. Their creativity and hard work, as well as the fact that profit is not the holy grail, are not enough to offset the structural factors of the Colombian economy. Rather, they hope to develop alternative economic networks that will create local economies that have a degree of self-sufficiency, as well as bring agroecological practices and environmental concerns to the forefront. With hindsight anyone can judge the FARC’s decision to bet on a peace process, whether the lack of good faith from the Colombian government was to be expected or not, but this was their collective decision and time is not going back. 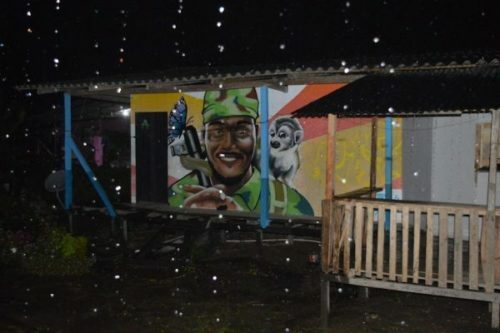 The current battle is one for survival, and the FARC’s ability to showcase and enact their vision for an alternative society faces terrible hurdles. Add to that Colombia’s central role in the US empire’s projection of power in South America, and the conclusion is that the odds are clearly against them. But at the same time, nobody expected this to be easy, certainly not the ex-guerrillas themselves. They hope to count on the international community to hold the Colombian government to account and, perhaps more importantly, they hope solidarity movements will play their role. 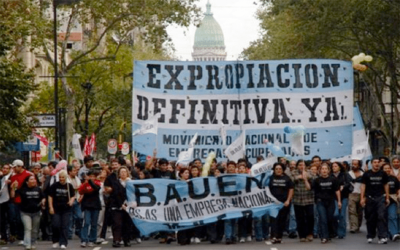 Whether it is by denouncing human rights violations or by supporting cooperatives for economic reincorporation, small steps can help shorten those odds. Sandino’s quotes are from an event organised by Swiss party solidaritéS, and are reproduced with her permission. 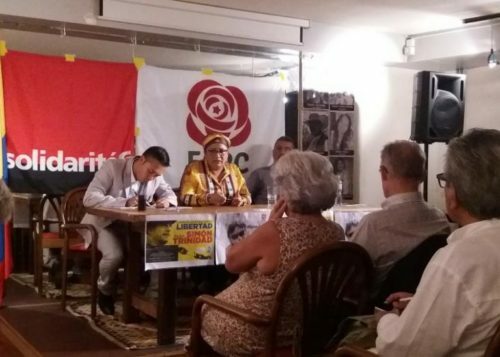 This event was part of a larger tour in Europe to denounce the human rights situation in Colombia and the violations of the peace deal. The Patriotic Union was a political party formed by the FARC in 1985 as part of a previous attempt at peace negotiations. The party fell was targeted by unspeakable violence, with 3000-5000 of its members killed within years. Reincorporation zones were geographical set for the reincorporation of ex-guerrillas into civilian life, with economic, social and political focus. It should be pointed out that there was a coca record crop in 2017, shattering the myth that Colombia’s rebel problem and narco problem were one and the same. 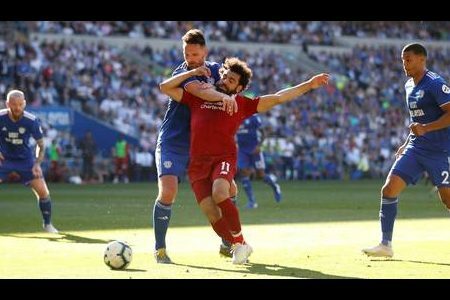 It is impossible not to compare the reaction to this episode to the corresponding ones to Saudi war crimes in Yemen. When the Saudis bombed a market, when they launched a double-tap strike1 on a funeral, when they hit a Yemeni school bus, it barely registered. All those episodes made headlines, as does the humanitarian crisis now and then, but there was no outrage to follow in Western ruling circles, almost as if this were a natural disaster with no one to blame. A double-tap strike is the technique of following a missile or air strike with another strike shortly afterwards, to target first responders. 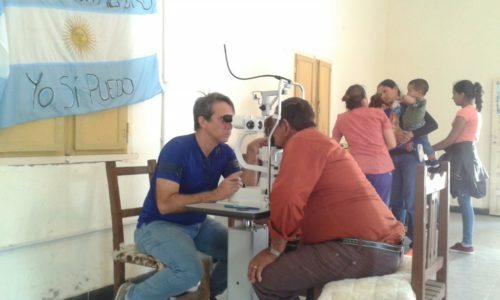 In this article we examine the productive activities of El Maizal Commune, based on our visit in May. We also look at the relation between the commune and state companies, and explore the contradictions that emerge as the communal project moves forward. El Maizal Commune spreads over the states of Lara and Portuguesa, grouping 22 communal councils (10 in Portuguesa, 12 in Lara) and some 9000 people. 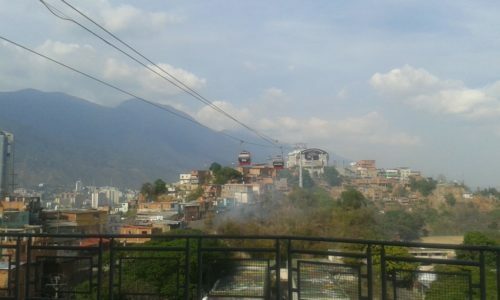 Beyond its productive activity, the commune is a reference for its political activity, holding assemblies on a regular basis, having a very efficient communicational policy, and working as a reference for the Venezuelan communal movement, so that even foreign militants such as ourselves are drawn to the experience. 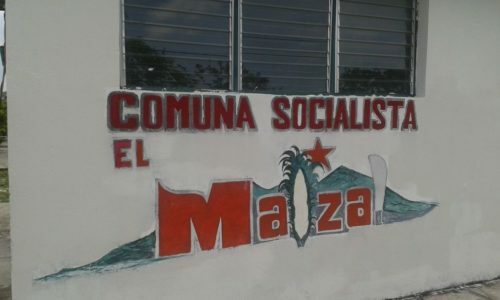 El Maizal has also conquered political space outside its territorial borders; for example, electing a member to the Lara legislative council in the elections of May 20. 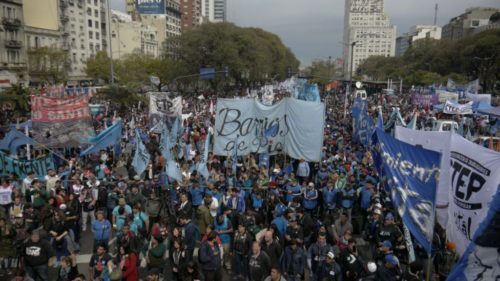 Nevertheless, the most important recent episode has been the controversial municipal election of December 2017, in which Ángel Prado, commune spokesperson and member of the National Constitutional Assembly, stood as a candidate.1 But the latter controversy has not held back the political project, the next step of which is the constitution of a communal city, alongside neighboring communes2, in the path to consolidating popular power in the territory. The company dedicated to cattle raising is named after communist guerrilla commander Argimiro Gabaldón, and it currently has 800 heads of cattle, some dedicated to the production of meat and the rest to milk and cheese. The levels of production, of course, fluctuate. In addition to the production of corn, meat and milk we should mention the production of other goods by the commune or by associated campesinos in the area. This includes black beans, quinchoncho, pumpkins and other vegetables. To top it off, the commune has another company, called Camilo Cienfuegos, that distributes PDVSA natural gas cylinders to 120 communal councils in Lara and Portuguesa. There is also a brick-production plant called Simón Bolívar, which makes bricks that have been put to use in the construction of 400 houses, a school, pavement and much more. All this allows the population of the commune and those living nearby to acquire all these products at non-speculative prices through communal food fairs. This satisfaction of the population’s most basic needs is what sustains the political project of the commune. After our visit and conversations with several communards, it is no overstatement to claim that El Maizal is nothing short of a locomotive for production in this entire region. Its relation with neighboring small producers, around 80, is a good case in point. The commune has a credit model for production which consists in supplying seeds and supplies, preparing the land with its tractors, sowing and harvesting. The producer is then responsible for taking care of their plot and ensuring that the corn, or other product, grows. At harvest the small producers keep part of the production for their own consumption, and everything else is gathered by El Maizal, to be sold in bulk, and a small percentage of this sale is kept to pay back the initial credit. Until recently the harvest was sold to the state’s silos, through the company Agropatria, but this will no longer be the case, as we will explain below. Similar credit agreements are in place for other products, for example, with coffee producers in the higher altitude areas. 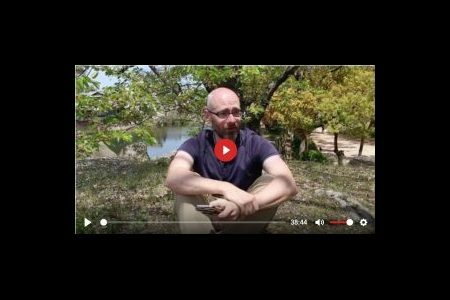 During our visit we witnessed one of these agreements being hammered out “live.” With an almost hyperactive pace, Ángel Prado went over the peasants’ situation, reminded them of their responsibilities, and redacted the agreement document through which they would receive credit in the form of seeds and supplies. In the end a photo was taken to spread the news on social media, since these peasants are growing corn on land left idle, and the support of El Maizal is important to dissuade those who might consider coming to evict them. The growth of El Maizal’s productive capacity has reflected itself in a growing conflict with Agropatria. This state company, nationalized by Chávez in 2010, is responsible for the supply of seeds, fertilizers and agrochemicals for agriculture. 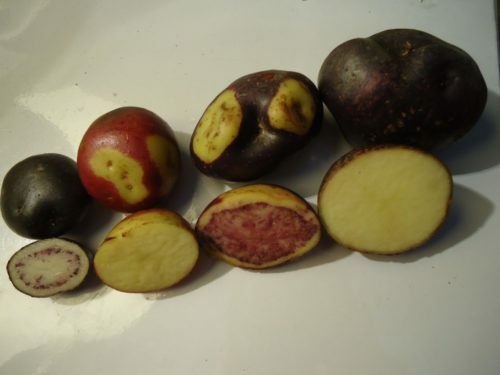 In the case of El Maizal, the relation with Agropatria meant that the latter would supply seeds and supplies for sowing, and in the end El Maizal would sell the harvest to the state. But it is a relation that has drifted towards conflict in recent times. On the one hand, the fact that the harvest was handed over to Agropatria, which then goes on to sell it to other state or private companies, represents a contradiction with the communal project. That is because the construction of popular power in the territory involves taking over more means of production, which in this concrete case would mean that the commune itself would begin to process corn to produce cornflour. In the commune’s facilities there is a mill, and recently the building of an artisanal plant to produce pre-cooked flour was approved, with the capacity to process one tonne per day. However, the commune proposal to build an industrial plant to process 30 tonnes daily is still waiting for institutional approval. It is not hard to see how a bigger productive and political capacity of the commune presents a threat to private interests and to those who defend such interests inside the state. The political coherence of the commune and its merciless attitude towards idle means of production threatens landowners and those that have become lax in their positions. Thus, in recent times, we have witnessed multiple acts of sabotage such as not handing out the necessary supplies for sowing. These acts of “passive” sabotage go hand in hand with harassment from security bodies. Having not had access to the necessary supplies, and with a limited window of time for sowing, the commune was forced to buy supplies in the black market, where the Agropatria supplies were being sold! To top it all off, a unit from the Anti-extortion and Kidnapping National Command (CONAS) came to investigate and arrest Ángel Prado and two other communards for buying black market supplies! A swift campaign ensured their release. 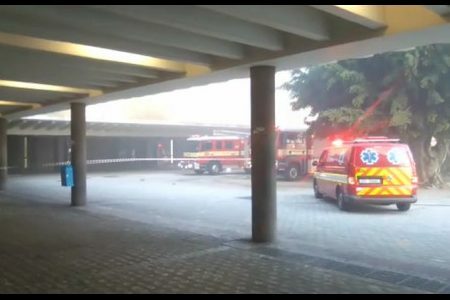 Shortly after, the nearest Agropatria facilities were occupied. This action revealed that seeds and supplies were being hoarded instead of being handed over to peasants, and thus a collective claim for restructuring the company emerged. As a consequence of the actions of Agropatria, El Maizal is devoting part of its land to seed production, and in an assembly the commune decided that it would not sell this year’s harvest to the state or to private companies. Instead, it will put the harvest directly in the hands of the organized pueblo, through direct distribution initiatives such as Pueblo a Pueblo. In El Maizal, the conflict between constituted and constituent powers is not merely an academic matter, and the communards are not going to back down. This also reveals how fundamental it is to control the entire production chain, from the seed all the way to consumption. We had the chance to visit what was once an unproductive state project, taken over and recovered by the commune: the greenhouses of Sabana Alta. Originally belonging to FONDAS (Socialist Agrarian Development Fund), only 12 of the 18 planned greenhouses were ever built. The existing structures were in a state of deterioration until the commune took over and had them handed over through a legal process. 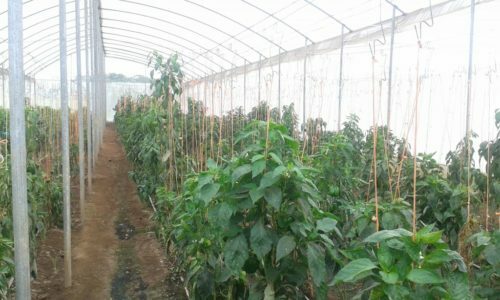 With much investment from the commune, there are now seven greenhouses functioning, producing cucumbers and bell peppers. 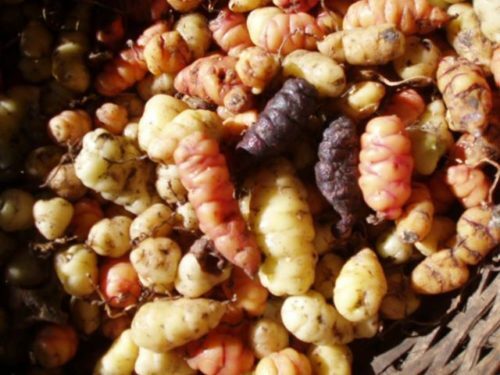 These products grow in a matter of weeks and yield several harvests yearly. The workers told us that this productive unit has the capacity to produce 100 tonnes of bell peppers per year. If we take into account the production of scallions and cilantro in garden beds, the project allows for a significant supply of vegetables to local communities at fair prices. The workers were eager to point out that the productive capacity still has plenty of room to grow, not just by restoring the remaining greenhouses and getting them producing, but also through qualitative advances, for example, by carrying out seed research. A second case of occupation and rescue took place in the experimental unit of the Center-West Lisandro Alvarado University (UCLA). 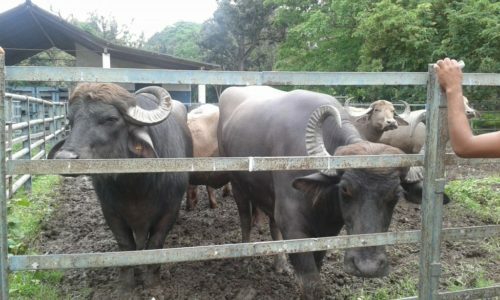 With an area of almost 100 hectares, the center had a few buffalo and dozens of Carora cows, an advanced genetic breed. When the commune recovered the practically abandoned facilities, the animals were dying and being stolen. The cattle was recovered and, as we witnessed, there is now daily production of milk and cheese, which is still far from the maximum capacity of the milk-producing plant. We should add that a part of El Maizal’s cattle was taken over to the UCLA facilities after a “mysterious” fire that destroyed 200 hectares of grazing land during Ángel Prado’s electoral campaign in December 2017. In the UCLA facilities, the communards also found a brand new, unused refrigeration system and laboratories that were never finished. The commune plans to get all this up and running soon. Another possibility being explored is fish farming (mainly of cachama) in the eight UCLA lagoons f, an activity which is now under way. 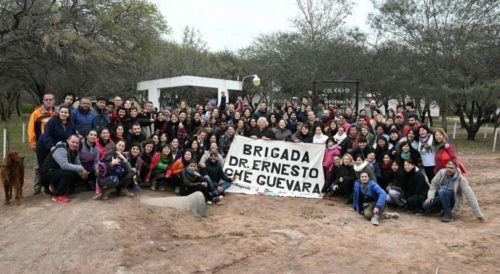 We should point out that the commune has relied on the support of experts, some of them foreign (for example from Argentina) in this process of recovering the productive capacities of the formerly UCLA‐owned facilities. The final and perhaps most significant example of a productive project recovered by El Maizal is the local Porcinos del Alba farm. This state company emerged out of an accord with Cuba, which established several pig-raising farms throughout the country. Nevertheless, in June 2017 the situation was catastrophic. 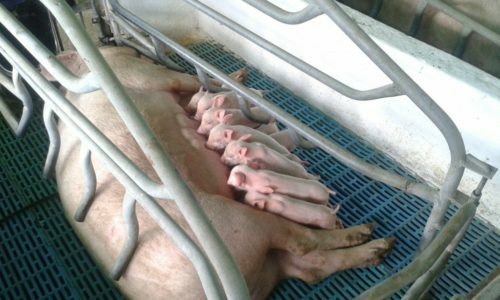 The farm had been reduced to 400 pigs which were starving to death or being stolen, while animal feed was being hijacked before reaching its destination. 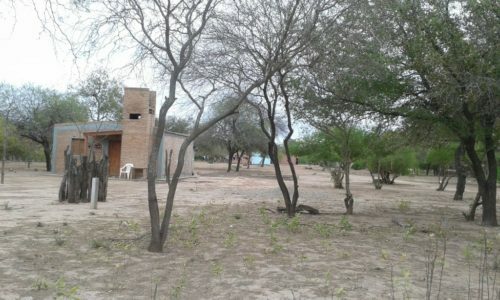 Together with the project’s workers, the commune took over the farm, creating a company that is called Argimiro Gabaldón (like the above-mentioned cattle project). The animals were seen by vets and an agreement was struck with umbrella project of Porcinos del Alba. Six months later, at the time of our visit, the situation was completely different. The 400 pigs had become over 3000, to the point where this farm was actually supplying other Porcinos del Alba centers. Nevertheless, these facilities have a still-to-be-reached operational capacity of 10000 animals. When we visited the farm (May 2018), we could see hundreds upon hundreds of healthy animals, including pregnant females and others that had just given birth. 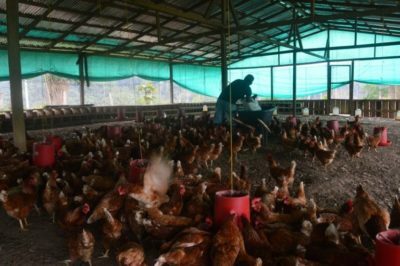 This center’s recovery has allowed the communities in the region to acquire animal protein at fair prices, which has been one of the main struggles during the economic war underway in Venezuela. The main problem, as the communards told us, continues to be the access to animal feed. Based on soy, it is very expensive and there is sometimes a need to sacrifice animals due to the inability to feed them all. The animal feed should be supplied by the state, but the commune has repeatedly denounced that it has not received the agreed-upon quantities. Finally this past June there was a decision to sever ties with Porcinos del Alba and sell or sacrifice the majority of the pigs, keeping only those that can be fed until the commune is able to produce its own animal feed, which will occur after the corn harvest in a few months. In summary, we can say that land or productive units left idle in a radius of several miles around El Maizal commune, be it private or state-owned, are under threat of expropriation. 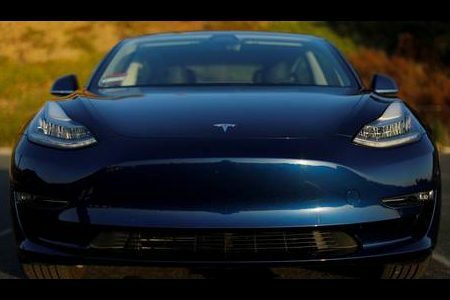 To dispel all lingering doubts, we should point out that this is extremely positive! As opposed to the capitalist accumulation processes, nothing is being expropriated for the benefit of private individuals or groups. It is purely, and has been from the very beginning, a conflict between production based on human need and the sacrosanct character of private property. 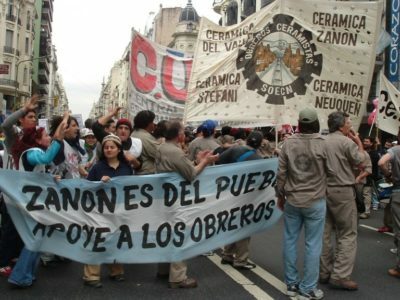 Nevertheless, the conflicts between El Maizal and state companies (in these cases Agropatria and Porcinos del Alba) are manifestations of fundamental contradictions between the project of constructing socialism and the bourgeois state. It is undeniable that Chávez managed to lead the way, alongside the organized pueblo, in overcoming some of these contradictions, which is why the socialist hope remains alive in the midst of this unprecedented crisis. Nevertheless, other contradictions simmering under the surface, hidden by high oil prices and other causes, were simply postponed until they exploded. When analyzing the Venezuelan situation, there is a tendency to point towards individual shortcomings: people selling products on the black market, managers that strike deals with big businessmen, and directors that misappropriate funds… All of this is grave, even more so when it becomes generalized, but it is an illusion to believe that the issue is purely a matter of ethics. Put another way, a monopolistic company such as Agropatria would function in an obvious way were it a private company. Yet for it to work as a state company, there is a need not just for careful planning and transparency from above but also for accountability from below. 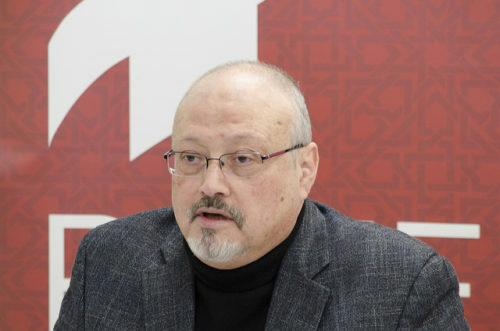 Otherwise, the tendency, which becomes worse in times of crisis, is to go on handing out supplies mainly to large producers and for workers to engage in black market activities. The bourgeois state, be it in its institutions or companies, has an internal logic, which is for the most part vertical, with well-established hierarchies. This verticality becomes even more pronounced when management is in the hands of the military, which is the case for several state companies in the food and agriculture sector. Hence, there needs to be a constant effort to subvert this logic from the inside, because the structures are not designed for accountability from below, and even less so for the construction of popular power. We only need to recall that, when takeovers and rescues of land occur, the state, especially through the judicial sector and security forces, has been much more agile in acting in defense of the landowners than of peasants. We do not want to promote the fantasy that one can move towards socialism on the margins of the state, ignoring its existence. 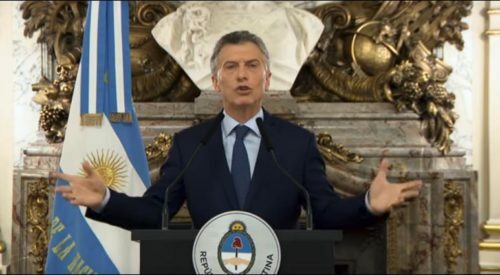 But neither can we believe that everything will be solved by changing the management of state companies or providing new political orientations, which is not to say that there is not much that can be done in this regard. Only stronger worker and popular control in these companies (and along the entire productive chain), alongside other revolutionary measures, will allow a reorientation of the Bolivarian Revolution. This is where the “Commune or Nothing!” slogan comes in. It is not a romantic chant or a childish demand to create a communal state by decree. It is a recognition of Chávez’s legacy and of his proposal for the construction of socialism. But beyond that, this is a rallying cry for all efforts to be put behind the communes and other popular power organizations. Because these are the sectors that have demonstrated, in the most difficult of circumstances, their political capacity and their ability to produce to satisfy the needs of communities near and far. 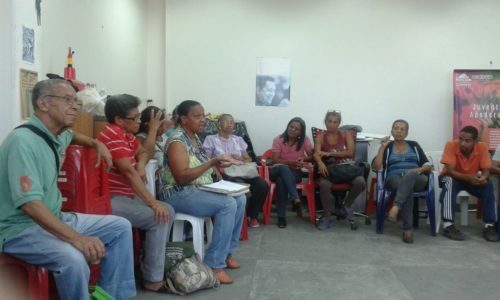 With more resources, support, and power, communes like El Maizal can breathe new life into the revolutionary project. After overcoming multiple obstacles, the commune managed to propose Ángel Prado as a candidate to the Simón Planas mayorship in the December 2017 elections. 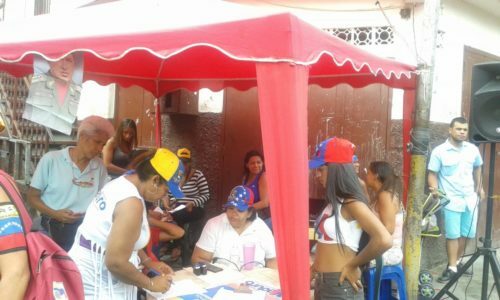 But his victory was not recognized and his votes were attributed to the PSUV candidate. There have been appeals filed before the National Electoral Council and the Supreme Court, but up to now there has been no decision. The interview with Ángel Prado (part I and part II) examines this struggle in greater detail. 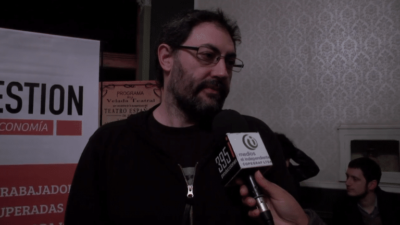 The issue of the communal city is also discussed in detail in our interview with Ángel Prado (part I and part II). Cornflour is used to make arepas, the most common food in the Venezuelan diet. This is an expression from a Venezuelan card game, used by Chávez when referring to expropriations. This without going into the health effects of genetically modified food. Naturally, there is a previous step that has to do with ownership of the land. For a detailed analysis of these issues see this article by Ana Felicien, Christina Schiavoni and Liccia Romero. 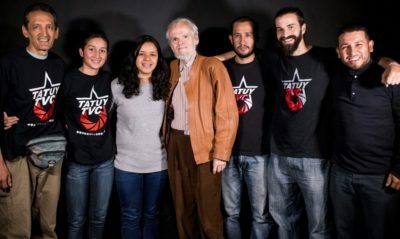 Ricardo Vaz: Tatuy TV recently celebrated its 10th anniversary. How did it all begin? Tatuy TV: Tatuy TV was formally created in August 2007. But we had already been working since 2006, out of political motivations. We are a group of young revolutionaries from Mérida trying to make use of communication/media as a tool for political struggle. RV: So you go ahead and launch a TV station? TTV: We kicked off the project for the TV station in 2007. To broadcast on television in Venezuela one has to apply for a permit to broadcast in the radio-electric spectrum, which naturally belongs to the Venezuelan state. We started this process in 2007 but it wasn’t until 2012 that our request was approved and Tatuy TV went on the air as channel 48 in the spectrum. RV: But were you already producing content? TTV: Tatuy was born with the interview we did with the singer Manu Chao in 2006. That was the first production out of Tatuy. During these first years we did not produce much because we were still learning, but there was already some audiovisual production that essentially from 2009-2010 started to become more regular. And we also found ways to distribute content on the web, through Youtube and social media, which allowed us to distribute our content before our station went live. RV: And then the TV channel went live in 2012? 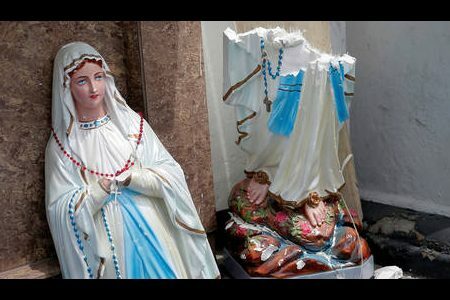 TTV: That’s another story, and a tragic one! We started broadcasting on June 14, 2012, thanks to an endowment from RED TV through the Cuba-Venezuela agreement. But we were on the air for only one and a half to two years, because we had constant, and suspicious, technical problems with transmission. 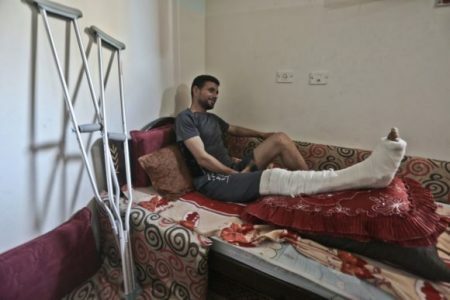 RV: Did this force you to rethink Tatuy TV’s mission? TTV: Yes, at this moment we asked ourselves: what are we going to do? Because we did not have the resources to solve these technical problems. Even though the state has a policy of supporting community media, the support towards Tatuy was never reliable, despite the state having ample resources to ensure that an experiment like this one can go on. So in some sense this crisis ended up being a gift. 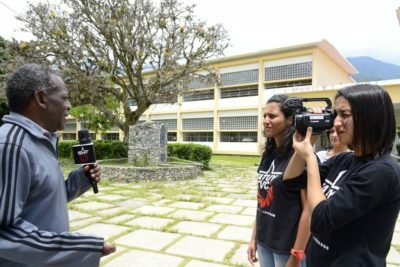 It was a crisis that was enough to put a fledgling community station like Tatuy out of business, and, in fact, this has happened to almost all community media in Venezuela, which are struggling, broken, practically vanished. What allowed us to survive was this understanding of our role. And furthermore we did not want to become a private medium, where there’s an owner calling the shots, paying salaries. Rather this is a militant space. RV: Let’s talk about the role of the media. It’s easy enough to understand it for private media, and the same can be said for state media. But what’s the role of community media, speaking of Tatuy TV in particular? TTV: This has been a topic of constant debate, community media and their role. We have to go back to the origins of community media, which appear as expressions of concrete struggles, and not the other way around. At a certain moment the idea of a community medium was flipped on its head and fetishized, so first you created the outlet and then you went out to look for a struggle and a community. This inverted process hollowed out community media and many of them became private companies, with advertising revenues, salaries, titles, hierarchical separation of tasks (e.g. someone responsible for collecting cables, someone dedicated to cleaning, etc). They would also have a director, and quite often a given political backer behind the outlet, like a mayor or an MP. RV: How does Tatuy TV operate in terms of resources? TTV: For us the most important “source” is voluntary work. Many of us work for the state (and right now the salaries are very low! ), and the rest of our militant work is dedicated to Tatuy. 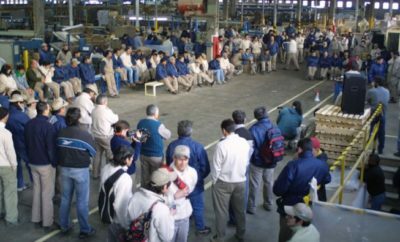 There is a small group of people that currently work full time at Tatuy, either because they’re studying or looking for work. But that’s the basic principle, voluntary work and militancy. Another source of revenue for Tatuy are the contributions from these members that have jobs, as well as donations from comrades and collaborators. We have also had projects financed by the state, but always in exchange for something. In other words, we are paid something in exchange for producing a series of contents, or workshops, or a community organizing process, etc. And we’ve produced lots of stuff with resources for example from the social responsibility fund of CONATEL (state telecommunications company), or from the federal government council, or from the Ministry of Communications, but always in exchange for something. Nothing has been gifted to us. But one thing that is very clear to us is that we have never accepted commercial advertising as a source of revenue, because we believe that amounts to surrendering principles. It would mean embracing a logic that would question the nature and political orientation of Tatuy. RV: In some sense it’s Chávez himself! TTV: Yes, exactly, it’s Chávez and nobody else! That’s our response. Who is your godfather? Chávez! Everything that has been built, the conditions that allowed for a project like Tatuy, and our vision, they all emanate from Chávez’s legacy and the project of building socialism that he proposed. RV: In a private outlet, like you said, there’s someone who is the director and someone charged with picking up cables. Is there a rotation of tasks in Tatuy? TTV: Yes. There’s no boss here, nobody is going to tell you that you need to pick up the equipment or clean up, and, of course, we’re not going to hire someone to do those things. If we are looking to construct a new model, than it has to materialize in our practice, not just remain in speeches. So we started with basic things, rotating tasks like watching over the space, cleaning, putting away equipment, making sure everything is in good condition, ensuring that the spaces are well kept. And the same applies to the tasks that are more specific for a media outlet. There isn’t a single person in charge of taking photos because they are the ones that do it best. Here if someone doesn’t know how to use a camera they have to learn, just like they have to learn how do video editing and motage. Everyone needs to be an integral member, as well as develop politically. So there isn’t a division of labor, certainly not between manual and intellectual labor. RV: How many members does Tatuy have at the moment? TTV: We are 14, and 9 are women. 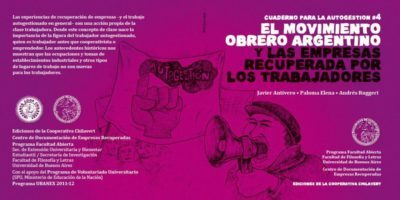 That’s also something interesting, the fact that many comrades from revolutionary feminist movements have joined Tatuy, and we have looked to consider and develop awareness on the issue of the “care economy”. In other words, when we assign tasks we always need to be mindful of ensuring our collective well-being. How we take care of ourselves, our physical, intellectual and emotional integrity, so we can commit to our revolutionary work in the best possible conditions. Nevertheless, despite the fact that we look to distribute work as fairly as possible, without any division of manual and intellectual labor, there are tendencies. There are people that feel more keen and comfortable, for example, doing photographic work, and therefore we also create the conditions so they can become good photographers. RV: Is there any relation between the work at Tatuy and the other jobs members might have? TTV: That’s another interesting point. For example, I (Juan) am currently teaching political economy at the Bolivarian University of Venezuela. This task, of organizing a syllabus and teaching, was given to me by Tatuy. In other words, part of my responsibility at Tatuy is also to reach these spaces like universities. Similarly another member of Tatuy is in charge of audiovisual coordination at Unearte. RV: In practical terms, how do you decide which contents to produce, and how tasks are distributed for each project? TTV: Every January we shut ourselves here, and sometimes we overdo it. That has been part of our learning curve, sometimes we would be halfway through the year still working on a plan! But in recent years we have been much more disciplined and precise in elaborating a yearly plan. So every January we sit down and discuss. We take stock of the political developments of the previous year and do a prospective analysis: what do we expect from the upcoming year? RV: We have to ask: how did you come up with the idea of “Chávez the Radical“? TTV: The starting point is the fact that Tatuy and its militants are political sons and daughters of Chávez. Our militancy, our process of political development, with the exception of a couple of older comrades, happens with Chávez. The thing is that, at first sight, Chávez looks like an ideologically eclectic figure, that one day meets with businessmen and the next day expropriates a company. So apparently he is a contradictory figure. RV: What is then the goal of this series? TTV: Simply put, it’s to rescue and portray Chávez in this process of radicalisation, this radical Chávez, which from our point of view is the authentic Chávez. Chávez’s radicalism is not an attribute, an accessory, it’s immanent, inherent to the figure of Chávez and his political project. That’s how Chávez was. 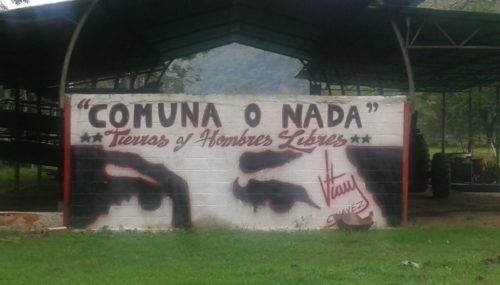 So this is an homage to Chávez, to the radical Chávez, and beyond that it’s a tool for our struggle, because it allows us to take part in the ideological battle inside the Bolivarian Revolution having Chávez’s thought and legacy as the starting point. RV: In the current context of economic war and imperialist aggression, there’s a debate about the positioning of the media with respect to criticism. 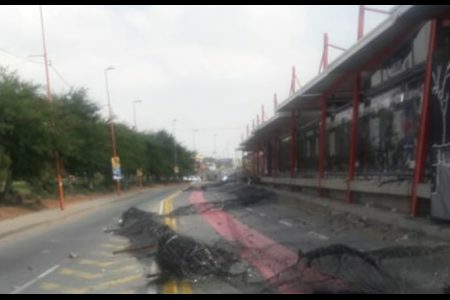 How does Tatuy manage this need to remain critical while at the same the tendency is to close ranks? TTV: For us it’s clear that there are two enemies in every revolution. 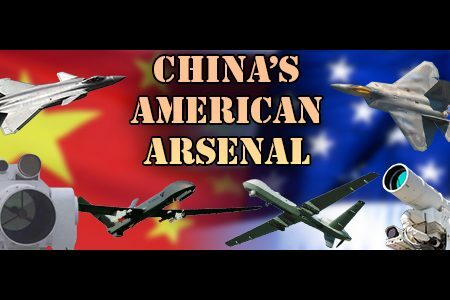 The direct, obvious enemy, starting with the US empire and the traditional capitalist right-wing forces. The bourgeoisie, as a class, is the historical, classical, open, obvious enemy. But there’s another enemy that’s typical of revolutionary processes and which emerges from within, which Chávez compared with this political figure of the Leopard1 (“gato-pardismo”), which is what we call reformism. Tatuy believes the Venezuelan revolution has two main enemies, imperialism and the national bourgeoisie on one hand, and reformism on the other. These are two permanent battlefronts, chavismo cannot avoid it. Chavismo fortunately is not a homogeneous, obedient mass. It’s a space of conflict, where multiple visions are expressed; in short, it’s a space of class struggle. Therefore above all we recognize that any revolution in Venezuela from here on out will go through chavismo. That’s one of Chávez’s great achievements, that there is a critical mass that accepted socialism as an historical and emancipatory project. This is no small feat. So we insert ourselves in that arena of struggle. We are chavistas and we consider that inside chavismo there’s a struggle to be waged. There are reformist sectors, capitalist sectors, popular revolutionary sectors, and the struggle is to conquer hegemony inside chavismo, to conquer the subjectivity of chavismo. And that’s the battle that we embrace. We critically assume the revolutionary political construction, but always, without a doubt, inside chavismo. 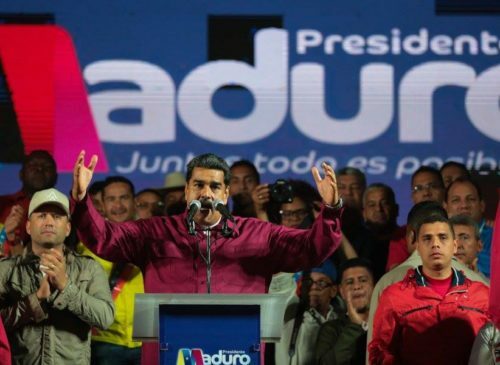 Incumbent president Nicolás Maduro won in a landslide, taking nearly 68% of the vote, while his closest rival Henry Falcón could only muster 21%. With all the votes tallied, Maduro totalled a little over 6.2M votes. 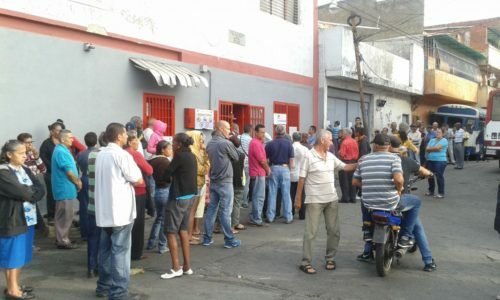 Amidst a devastating economic crisis and increasing imperialist aggression this is a very significant victory, but it nevertheless falls very short of previous totals in chavista victories, and very short of the 10M votes that Maduro “demanded” during the campaign.1 Falcón had distinguished himself by defying the mainstream opposition’s call for boycotting the elections, only to fall back to the familiar tune of not recognising the results after losing. Once the voting closes the voting machine prints an act (acta) with the final tally of results, to be signed by all members of the polling station and electoral witnesses. The number of voters, for example, can be immediately checked against the number of signatures in the electoral roll or the number of fingerprints registered in the authentication machine. 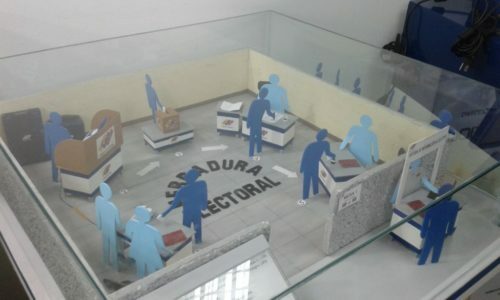 Then 54% of polling stations are randomly chosen for a “hot audit”, which is open to the public and members of the international accompaniment mission (acompañantes electorales), whereby the paper ballots are manually checked against the electronic result. And once all this is done, the data is transmitted to the CNE headquarters. The existence of all these checks and audits is the reason why in over 20 elections, with constant cries of fraud whenever the opposition loses, no one has produced a single shred of evidence of fraud2,3, although that has not stopped the media from repeating these claims uncritically over and over. 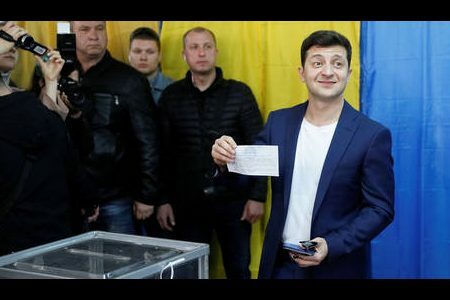 Given that in each of the thousands of voting centres the polling station members are chosen randomly and opposition witnesses are present, and they all sign an act at the end confirming that everything is in order, to claim there was fraud without anything to back it up is to take your supporters/listeners/readers for idiots. Had the reaction been just this shameful bombast it would not be much of a problem. But it came followed by the tightening of the economic noose around Venezuela; i.e., new sanctions. The latest round of sanctions imposed by the Trump administration again fell short of an oil embargo, which has been increasingly floated by US officials, but targeted Venezuela’s and PDVSA’s ability to collect and re-finance debt. The feeling I get from talking to my counterparts is that they see no alternative to economic pressure – and it’s very sad because obviously the downside of sanctions is that they can affect the population that you don’t want to suffer. We hope to go into a more detailed analysis of the political situation and the challenges ahead in an upcoming article. Perhaps we should clarify that no credible evidence has been produced. After the 2013 elections defeated candidate Capriles produced a dossier of “evidence” that was mercilessly torn to shreds, because none of it held any water. A possible notable exception was the gubernatorial election in the State of Bolívar this past October. Defeated candidate Andrés Velázquez published alleged acts that differed from the results on the CNE website, but this matter was not pressed further, perhaps because it undermined all the other unproven fraud claims. 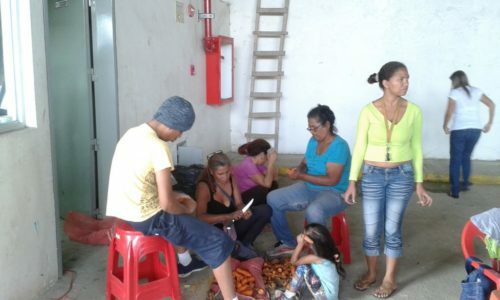 (Investig’Action/Ricardo Vaz in Caracas) – “Pueblo a Pueblo” is an initiative undertaken to fight back against the economic war that has hurt the Venezuelan people in their access to food. The idea is to organise the different links of the chain (production, distribution and consumption) in order to be rid of intermediaries. This way food is taken directly from the “pueblo” in the countryside to the “pueblo” in the city.1 We had the opportunity to talk to Martha Lía Grajales and Ana Graciela Barrios, who are part of the “Unidos San Agustín Convive” cooperative, which is involved in this experience, as well as witness a cooperative assembly and the food consumption event. The idea is to generate processes of organisation and politicisation with a logic that is an alternative to capitalism. Processes centred on the peasants/farmers, which assume a class-oriented logic, in which the common problems related to production are presented and their solutions found collectively as well. What we have been doing is organising the final link of the production chain, which is consumption, framing it as practical exercise of socialism. As such we can see an emphasis on democratic processes, horizontal assemblies, an equal distribution of food, public processes of accountability after each food consumption event, and if there is any surplus left it is re-invested in the cooperative. 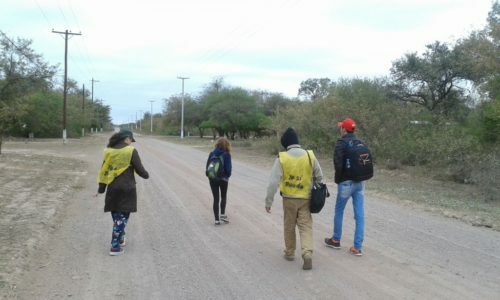 It is worth noting that, in one of the most violent neighbourhoods of the Libertador municipality, this initiative has succeeded in mobilising people from different sectors, something they might have avoided doing in the past. In fact, the consumption events that take place every two weeks rotate between three places: Hornos de Cal, El Manguito and Terrazas del Alba. The initiative started one-and-a-half years ago, and the number of families participating has risen to about 150 in each of the three locations. The access to vegetables allows families to complement their diet, with natural products that have little use of chemicals. Not only that, they are much cheaper than what one would pay on the street. Alongside the CLAP bag2, which contains processed products that are important in the Venezuelan diet. This is an important contribution. The following work-group announces, to everyone’s delight, that the process of legally registering the cooperative is almost completed. 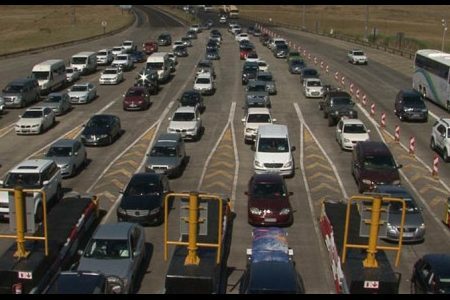 This will open up new possibilities, for instance, to request that the municipality award them space to build a storage facility. On the matter of production there is also talk of what comes after the hens, namely, raising rabbits and sheep. Equally welcomed are the news that there has been progress in the process of requesting a truck from the Interior Ministry (see below). The only work-group that has yet to start moving is the processing one, which has as a first task the processing of 7 kg of corn supplied by the El Maizal commune. The spokesperson for the group assumes her responsibility which is mitigated due to having brought coffee! Then comes the time to register volunteers for the different tasks of the consumption event: registration, unloading, logistics and accounting. 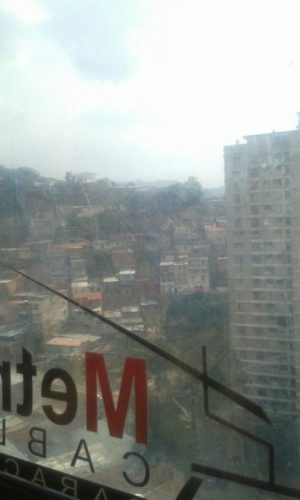 People volunteer, sometimes complaining of other difficulties, to which Yamile Anderson, one of the participants, replies reminding everyone that “here everything is done with love”. Finally the day of the consumption event arrives. The truck arrives early in the morning with the vegetables, which are then unloaded, weighed and divided in equal parts, in this case 100. In this parking lot under the cable car station, 100 bags are placed on a grid, and the different foods are also placed in grids. The vegetables being distributed today are potatoes, onions, carrots, scallions, yams, cassava, pumpkins, cabbages, cilantro and garlic. What happens next could, for a second, be mistaken for a fordist assembly line. A group of people lines up in a row, each with a blue bag in front of them. A second group lines up from this first one towards the particular vegetable being distributed. And a third one gathers the small empty bags from the first group in order to fill them up and hand them over to the second one. Once a row of bags is filled, the first group takes a step forward, and so on and so forth. Of course, this is a process that has nothing fordist about it. From the blaring salsa music that infects everyone to the rounds of applause that follow whenever the distribution of a given vegetable has been completed, it is impossible not to recall the words of Yamile – everything is truly done with love. 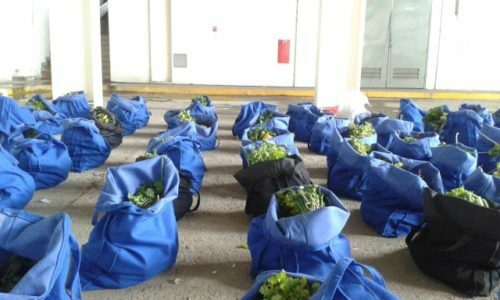 The final result is 100 bags with 10 kg of vegetables, to be sold around 70% cheaper than through the conventional market. When this is done, the people who registered for the consumption are called, one by one, to gather their bag, weigh it, and pay for it. The Unidos San Agustín Convive cooperative is currently in a crowdfunding campaign to buy a (used) truck. 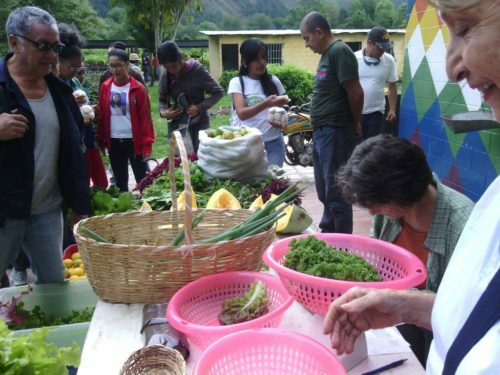 The main motivation, as Martha and Ana explain, is to connect to producers, most of them women, in Carayaca (Vargas state). This is a very isolated region, only accessible with a 4×4 car, which makes producers more vulnerable to intermediaries. This is not meant to be a separate project but a new axis of the Pueblo a Pueblo platform. Despite all the difficulties and contradictions of this process, there is a pueblo that has decided to be free, and it is out there fighting. We are deliberately keeping the word “pueblo” in Spanish, because it is not just used with the meaning of “people” (“gente”) but with the connotation of community or organised people. 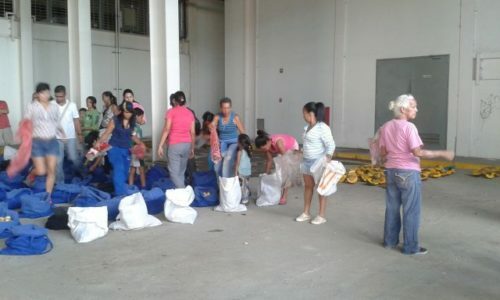 The CLAP (Local Committees for Supply and Production) are a government initiative that delivers boxes/bags at subsidised prices containing some of the main staples of the Venezuelan diet: cornflour, pasta, rice, black beans, cooking oil, and more. These are delivered door to door through local community organisations. 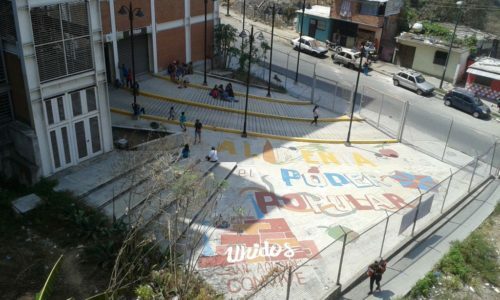 The Unidos San Agustín Convive cooperative and the Colectivo Surgentes were awarded a prize by the Bienal Internacional de Educación en Arquitectura para la Infancia y Juventud for its project with local children to turn (paint) a stairwell into a river.